Few annual plants can match the heat and drought hardiness of sweet alyssum. 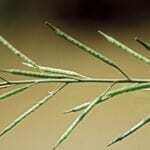 The flowering plant has naturalized in the United States and thrives in a wide range of regions. Sweet alyssum flowers are so named for their lively fragrance and are members of the mustard family. While not frost tolerant, sweet alyssum plants will self sow and can provide you with year after year of bright color in milder climates. Sweet alyssum flowers (Lobularia maritima syn. 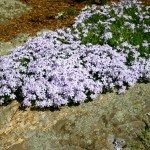 Alyssum maritimum) are useful in alpine rock gardens, borders, planters, hanging baskets and dry zones. They are small plants that may get 3 to 6 inches tall and produce clusters of tiny flowers in clumps. The blooms come in pink, salmon, purple, white and yellow. Flowers arise in June to October and can be encouraged to rebloom by cutting back spent flowers. 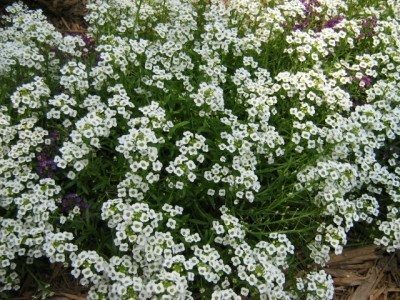 Growing sweet alyssum requires well-drained soil with moderate moisture. The plants are tolerant of many types of soils and make a cheerful accent in many situations. Start from seed in early spring in seed flats indoors and transplant after the danger of frost has passed. Surface sow the tiny seed and keep lightly moist until germination, which is usually 15 to 20 days. When the seedlings have several pairs of true leaves and soil temperatures are at least 60 F. (16 C.) degrees, transplant them into a prepared garden bed. Learning how to grow alyssum is easy and a packet of seeds is cheaper than purchasing bedding plants. Learning how to plant alyssum is easy. You can also plant sweet alyssum flowers from seed straight into the garden in mild climates. Choose a location that has full sun, although sweet alyssum plants can tolerate partial shade as well. Prepare the soil prior to planting by weeding, working in organic amendments and raking out any obstructions. Before transplanting your seedlings, check the drainage in your soil by digging a hole and filling it with water. If soil doesn’t drain quickly, work in compost, leaf litter or grit, such as sand, to increase the porosity of the soil. Keep the bed weed free to reduce competition for resources and provide even moisture. Sweet alyssum plants require little maintenance. While alyssum is relatively maintenance free, it will do poorly on boggy sites and where inadequate moisture is provided. It is prone to few pest problems but may get stem rot or leaf blight where too much shade prevents the leaves and soil from drying out. Botrytis blight is a particular problem of sweet alyssum plants when they are grown in overly wet areas. Trim back the stems after blooming for an endless display of colorful sweet alyssum flowers. 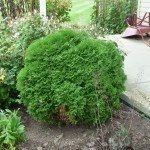 Read more articles about Alyssum.